I’ve been making this easy Creamy Cauliflower Cheese Bake for years now because my mum used to make it when I was a child. I enjoyed hanging out with my father in the garage “fixing” things but I also enjoyed hanging out with me mum and cooking. I remember the smell of the house when this Cauliflower bake was in the oven. The pungent smell of the strong cheese would make your mouth water. I mean, who doesn’t like cheese right? I know some people can’t eat cheese and I would be heart-broken as cheese does make everything better. I’m not a fan of that cheese whiz stuff so I would never buy that although some people don’t mind it. 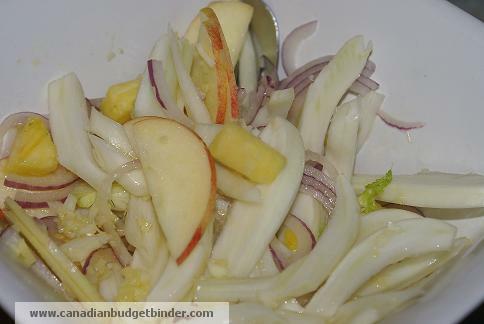 Besides the cost of the cheese this is a frugal side dish but that is elegant enough to be served at a fancy gathering. Mrs. CBB believe or not has never had a Cauliflower Cheese Bake before so it was my turn to whip up another British Family Traditional recipe in our Canadian home. Technically you could substitute the cauliflower if you didn’t like it and make a cheesy broccoli bake or cheesy potato bake. If you really want to jazz it up you can make a cheesy broccoli potato bake and add some bacon. You can mix and match all sorts as long as you can make the cheesy sauce. You can also call this a casserole and I have to chuckle and some of my Facebook fans know I laugh when they post they make a casserole. Ever since I moved to Canada and ask “What’s for Dinner” each night on my Facebook page there’s bound to be a casserole. I’ve officially renamed them CASAROLL “Eh” as I’ve never heard of as many variations until I moved to Canada from the UK. Mrs. CBB, like myself loves cheese but she “really” loves it. This girl can pack back chunks of Parmigiano on crackers if you let her. She would do well in Spain with tapas (which she’s never had) because she loves to try different flavours and textures but in small bits. For this recipe I used an old cheddar however I would suggest you get a strong cheese like an extra-old cheddar or a creamy strong Asiago or both is better. On top I sprinkle real Parmigiano Reggiano on top. Don’t waste your money on the crap in a jar or container get the real deal, pay the money it’s worth it and a little bit goes a long way. I don’t find cheese in Canada as strong like that black diamond, it’s very mild even the old black diamond. Last night we made the Creamy Cauliflower Cheese Bake with some breaded pork chops we baked in the oven and side of fennel fruit salad with ginger-lime dressing. We’ve also served this with homemade sloppy joes for an easy week-night meal. This cheesy cauliflower bake is an easy holiday recipe that you can make for Christmas, Easter, or any special occasion. So if you are like some people who have no idea what to do with cauliflower except to dip in dressing, adding it to a salad or steaming it plain, check this recipe out. I’m betting you will have none left at the end of your dinner service. What other types of bakes or casserole CASAROLL “Eh” do you make? On your cutting board cut your cauliflower into florets and put them in a pot of salted boiling water until tender but not mushy, drain. Let sit for 3-5 minutes then serve. Do you have a Question for Mr.CBB simply ask him Here! Are you on Mr.CBB’s Blog Roll? Check Here… if not and you want me to check out your blog and add you to my blog roll simply click Here and fill out the form. You know, as a “single” its hard to make great recipes for feeding only one… however with this one, I can make it but divide it into FOUR rows: cauliflower / brocolli / potatoes / green beans…. then it becomes a full meal for dinner with a salad and left overs for lunch the next day! I have a small casserole that I’d make it in, thus there would be extra sauce, but I’d freeze it for the next time I make it! That sounds like a brilliant idea Patricia. Now you sound very resourceful in the kitchen. I know what you mean about it being hard to cook for one but it takes some good planning and things work out well. Thanks for dropping in. I think I want to try this one! Adding bacon sounds good!! This looks absolutely delicious! 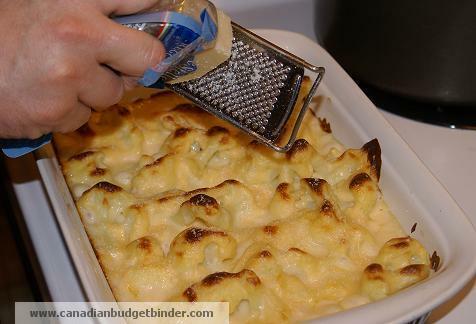 I will have to try this but I may have to lower the fat in the cheese just a little or save this for my Man Food nights! Yes you can lower the fat content no problem but I would use a stronger cheese though so you still get the flavour. Less is more when you use a pungent cheese. Cheers Karen! Ha, that’s my saying! Cheers mate. Cauliflower cheese is a quintessentially traditional British food and as can be seen in this recipe, so easy, and versatile – it appears throughout British food in various guises; an essential side dish at Sunday lunch, a delicious filling for a baked potato and sometimes, even encased in pastry as a pasty or quiche. Cauliflower Cheese makes the most of great British cauliflowers which are not only cheap, nutritious and also available almost year round. oh the things I miss mate…. British Classic indeed – looks yummy sir! Looks tasty – I love cauliflower, but this looks much better than the way I make it. I think if I make it, I will go with your suggestion and add bacon, it just makes every meal that much better! Hippie food, haha. It’s a yeast that’s sold in powder or flake form, that tastes nutty and cheesy. It’s a complete protein, has a bunch of vitamins and is often fortified with B12 and iron. It’s really delicious, despite the name. It’s very common in vegan food and also in vegetarian food, though not quite as much. I tried to reply on my phone, but it doesn’t look like it posted. It’s hippie food! Nutritional yeast comes in flakes or powder form and is a non-active yeast, not resembling bread yeast or brewer’s yeast at all! It tastes cheesy and nutty and is delicious. It’s a really good source of protein and vitamins, vegans use it a tonne and vegetarians sometimes. When it’s fortified it also has that pesky B12 and iron. It’s often used in situations that people would use parmesan, such as making pesto, or topping pasta. Give it a shot sometime, my spouse even eats it without objection! My grocery stores can be limited in selection, but thankfully there are several natural food stores around that carry it. I did get the post where you said it was hippie food. It was just interesting as I’ve never heard of it. We take alot of vitamins here like B12.Vit D, and Vit C in our water…What type of cost is there on it? You probably have access to it for less where you live. The stuff I bought the other day was $7.95 for a container the size of a large yogurt. It lasts (me) quite a long time. Interesting, I’m going to head out and see if I can find it next week. I just had cauliflower last night for the first time in a long time, but it didn’t look like that! Yum!